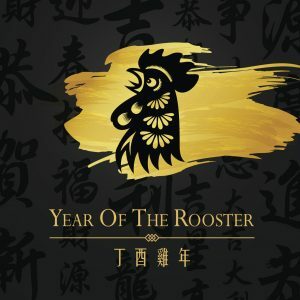 This year, the Year of the Rooster in the Chinese lunar calendar, will also be the year of gold, said Haywood Cheung, president of the Chinese Gold & Silver Exchange Society. In an interview with the China Daily, Cheung said he drew his confidence from the turbulent global economic environment, which will create a bull market for bullion. Cheung forecast that the international gold price could potentially climb to $1,600 per ounce in 2017. Investors are advised to allocate 20% of their assets to the gold market to hedge risks, including the depreciation of major currencies, the uncertainty over President Trump’s China policy and the sluggish economic situation in Europe. Cheung said his organization, which has a history of more than 100 years in Hong Kong, will continue to develop bonded warehouses for gold in the Qianhai free-trade pilot zone in Shenzhen. He said it would also upgrade the trading connection with Shanghai for gold, and participate in building a commodities trading connection with the mainland. Cheung said the Qianhai project, a joint venture with Industrial and Commercial Bank of China, is building a temporary warehouse that can store two tonnes of gold, and is expected to open in the second quarter of this year. In the next two to three years, his group will build its own warehouse, big enough to hold 1,500 tons of gold. What Is Fair Value of Gold?